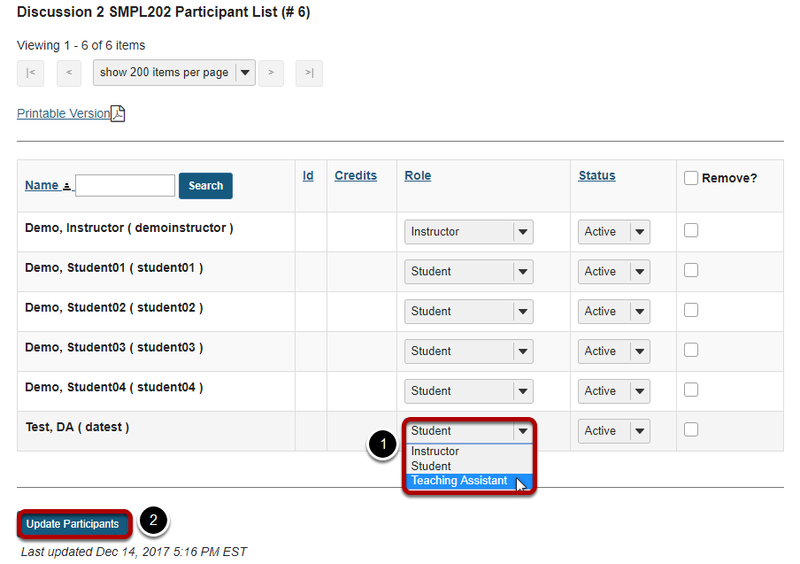 Sakai Guides and DocumentationSakai Complete User Guide Permissions and RolesHow do I change participant roles within a site? Click Site Info in the Tool Menu of the site. Next to the participant whose role you want to change, select the appropriate role from the drop-down menu under "Role".